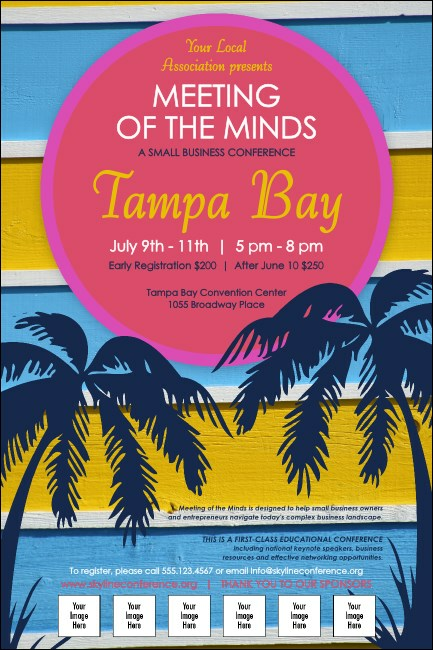 Whether you’re hosting your event at the historic Tampa Bay Hotel or in a more intimate community setting, advertise it in advance with vibrant Tampa Bay Posters. This Poster template features bright and beautiful colors as well as room to upload six of your own unique images to impress your generous sponsors. Sell more tickets in Cigar City with TicketPrinting.com.